Disclaimer: I received a free review copy of this book from the publisher as part of the Harper Voyager Super Reader program. When he was a boy, Colby Stevens made a wish that changed his life forever. Although he became a wizard, and gained the power to see beyond the veil, the djinni he wished on, Yashar, was cursed, so all of his wishes twist and end badly. Colby was able to defeat his enemies in the Limestone Kingdom, and ban them from Austin, but he couldn’t save his best friend, Ewan. Still reeling from the loss of his friend, Colby takes a step too far in his new role as the supernatural sheriff of Austin, and runs afoul of the city’s genius loci. But Austin is the least of his problems; the battle with the faeries earned Colby a certain amount of infamy, and now all of his old enemies know where to find him. The Queen of the Dark Things is coming for revenge, and it may be that nothing short of a deal with the Devil can save him. 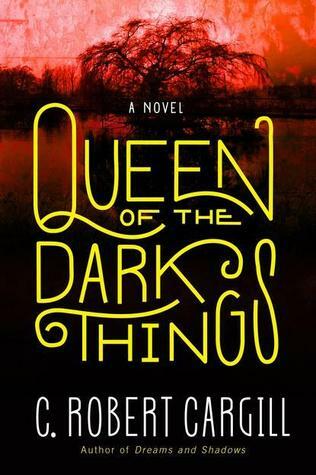 Like Dreams and Shadows, Queen of the Dark Things starts slowly, as Cargill carefully assembles all the threads of his story before he begins to weave them together. The result is a delicately crafted narrative about power and the responsibilities that come with it. It takes some time for the central plot to emerge, but playing it close to the vest gives Cargill a great capacity for surprising the reader, though he sometimes gives away too much in the epigraphs. Where Dreams and Shadows focused on faerie lore, Queen of the Dark Things shifts the mythical focus to the traditions of the Australian Aborigines, particularly the Dreamtime, which Cargill utilizes to great effect. Another standout in this story is the personification of the city of Austin, who struggles to protect her people from the forces descending on the city. Once again, Cargill’s patient work pays off with a stunning conclusion that makes it worth going along for the ride. 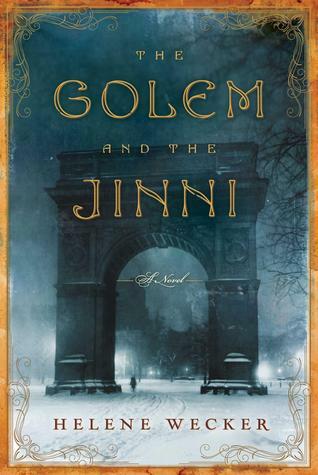 You might also like The Golem and the Jinni by Helene Wecker. Disclaimer: I received a free copy of this book from the publisher as part of the Harper Voyager Super Reader program. In the Hill Country outside of Austin, Texas, and just beyond the veil, lies the Limestone Kingdom, the faerie realm ruled by Meinrad, and inhabited by creatures of legend and nightmare. Only supernatural beings live there, but once, for a brief time, two human boys played in those woods. Ewan and Colby have been friends since childhood, for so long that Ewan can’t quite remember how they met. Colby has never forgotten, but he has never told Ewan, either. As adults, Colby is working in a bookstore, constantly grappling with the consequences of a childhood wish come true, and Ewan is trying to make it as a musician, but despite their seemingly normal human lives, the Limestone Kingdom hasn’t truly let them go. 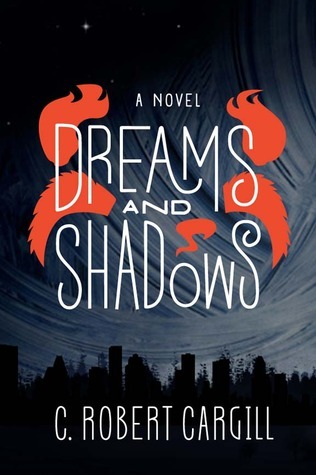 Dreams and Shadows is a difficult novel to describe without dealing in spoilers, because it takes more than a hundred pages for Colby and Ewan to finally meet, and another hundred pages or so before they are adults in present-day Austin, where the plot as described in the cover blurb really begins. Cargill brings together a plethora of familiar and unfamiliar fae, seelie and unseelie alike, to populate the Limestone Kingdom, and also incorporates the Native American Manitou, Coyote, and the Middle Eastern djinn to create a diverse supernatural cast for his world. It takes quite some time to assemble all the players, and get the action going. Above all, Dreams and Shadows requires patience; Cargill is setting up a worthwhile end game, but the pieces seem disparate until the moment before they come together. While this book has the right plot elements to qualify as urban fantasy, the fast pacing so common to the genre is not present here. While the long term end game of Dreams and Shadows remained unclear until late in the book, the chapter-by-chapter developments were a made a little too obvious by the academic extracts that appeared between chapters, taken from a fictional book entitled A Chronicle of the Dreamfolk by Dr. Thaddeus Ray. Dialogue in one chapter would hint ominously at something called a “tithe,” and then the very next extract would spell out exactly what that was. Although the extracts aided world-building, Cargill frequently gave away the element of surprise in these passages, rather than allowing the mystery to develop and naturally be revealed in the course of the story. The extracts also slowed down this already ponderously paced novel, and while I’m glad I stayed aboard until the very end, and eager to see what Cargill has in store in Queen of the Dark Things, it was only a matter of chance that I didn’t put the book down for good before he got to the good stuff.